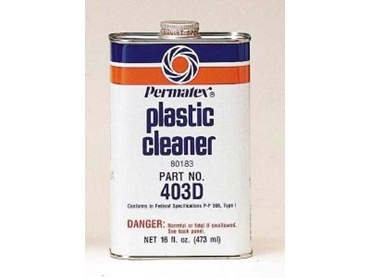 PERMATEX has released a plastic cleaner that removes grease, dirt, deposit build up, and other stains without scratching. It also forms a water repellent, anti static shield which resists fogging. Applications include plastic windows, canopies, instrument covers, goggles, lenses, helmets, boat windscreens, and fibreglass hulls.